يقع فندق فبلا ديل لاجو في مركز مدينة كوينزتاون, كوينز تاون, هو خيار شائع بين المسافرين. يقع مركز المدينة على بعد 1.5 Km فقط. ويمكن الوصول إلى المطار خلال 12 دقيقة. سوف يعشق النزلاء موقع هذا الفندق، فهو قريب من أهم المعالم السياحية في المدينة كمثل The Ivy Box, ملعب جولف مرتفعات كلفن, رحلات سفاري نهر دارت . استمتع بالخدمات الراقية والضيافة التي لا مثيل لها بهذا الفندق في كوينز تاون. يقدم الفندق واي فاي مجاني في جميع الغرف, خدمة التنظيف يوميًا, مدفأة, خدمات بريدية, خدمة سيارات الأجرة لضمان الراحة القصوى لضيوفه. في الفندق غرف نوم يتجاوز عددها 15، كلها مجهزة بعناية وجمال وبعضها مزود بـ تلفزيون بشاشة مسطحة, حمام إضافي, مرحاض إضافي, سجاد, كرسي عالي للأطفال. كما أن مجموعة الخدمات الواسعة الموجودة في الفندق لضمان راحتك تترك لك الكثير من الخيارات لقضاء وقتك أثناء فترة إقامتك. يشكل فندق فبلا ديل لاجو بخدماته الراقية وموقعه الممتاز، قاعدة مثالية للاستمتاع بإقامتك في كوينز تاون. The hotel located just before entering city center. Quiet and calm with access to Wakatipu lake down there. Kitchen is equipped with premium stuff and even has a functional dishwasher. Hotel receptionist Mel was very helpful with good advice for my trip and she can also book a dinner for you up on the top of Queenstown skyline without charges. 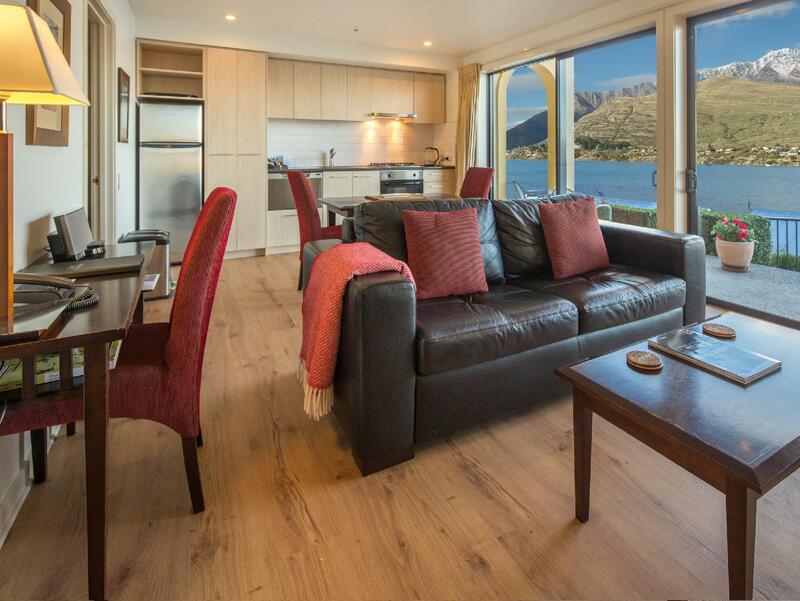 Perfect apartment with awesome view and well equipped facilities, highly recommend to stay this hotel in Queenstown. We would stay here again. We were really surprised with the views from our 1 bedroom suite. The room facilities and views were both well above our expectations. Extremely convenient location for most tourist attractions and as well as the airport. Definitely recommended. I stayed here for one night after a trek. The room and views were top notch, and had everything I needed. Location wise, for a traveller without a car, it was a touch inconvenient, in that it was a 5 minute walk to a bus stop, or 20 minute walk into town. However, it's actual location was great, away from the hustle and bustle of the centre. So more recommended for people who like views and a bit of peace. Staff were excellent, very friendly and helpful. Great location over looking the lake and mountains. Full apartment amenities with washer and dryer and kitchen. Short walk to town along the lake. Once we parked our car it did not move for two days. Highly recommend. Athought it is a 30 minutes walk ( or 10 minute ride by bus, taxi ride costs about 12 NZ dollars) away from town, we didn't mind at all. The view from the villa is amazing and he receptionist lady was very nice and helpful. We stayed 3 nights and enjoyed every minute. The layout of the unit is not family friendly. We are not aware that there are so many levels in the house which our older parents were having a hard time walking to the room. Next, there is one room at the highest floor but there's no bathroom, nearest bathroom is 2 levels down. Both rooms at lower level are filled with bugs /flies / mosquitoes at night which had bitten our kid. The room at lower ground is very stuffy and we had to either open the window or on the fan, but the fan is very dusty, it was not cleaned for a long time. Thanks for your review The 3 bedroom Villas are on 3 levels. This is made clear on all booking sites. we also confirm in our booking confirmation that you have 3 bedrooms and 2 bathrooms. Bugs will come inside in the summer months if windows are left open with the lights on inside. They are only moths. There are no mosquitoes in Queenstown. There are no bugs that bite in Queenstown. We provide a fan and there is a ventillation switch in the ground floor suites for airflow and the outside air is always cool and fresh. 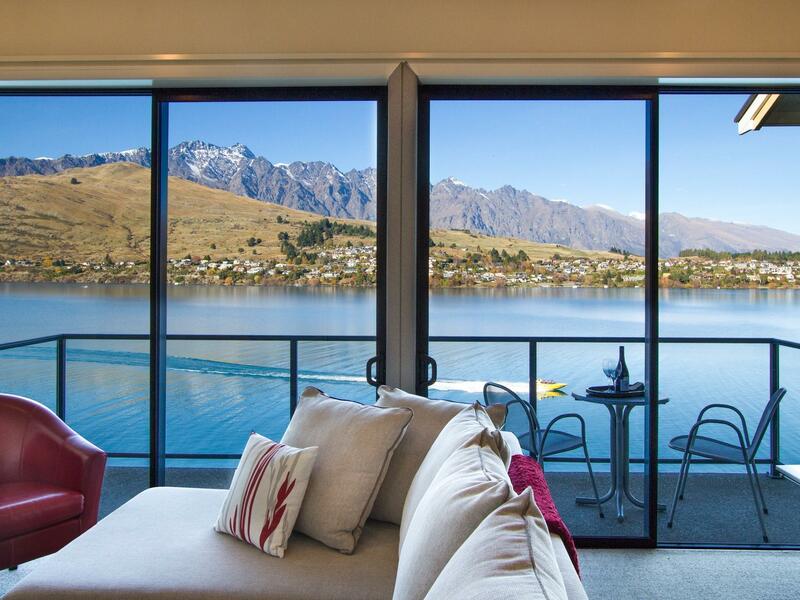 It is no problem in Queenstown to leave doors and windows open at night for fresh air. nice hotel with lake view from own balcony/courtyard. the complex, was quiet and the sunset was stunning. the location is a bit far from the main strip (about 10 minutes drive) but we had a car so it was ok. It's a huge disappointment because the unit we stayed doesn't have the lake view it advertised. We stayed in unit 19. Half of the lake view was blocked by villas at the front. We don't think it's worth the money we paid for. To be fair, the manager did offer us other choice in a further area. But the view is not the same either and it's far from the town Center. The unit may be the only one that has blocked view but we regret choosing it for our honeymoon. Thanks for your review. The apartments at Villa del Lago are on two levels. One level is on the lakefront and access is down 3 flights of stairs. We have 4 X 1 bedroom suites on this lower level. High above this is the 2nd row of apartments. They look out over the roofs of the apartments below, but the view is not "blocked". We have 5 X 1 bedroom apartments at this level and 4 X 3 bedroom Villas. From this level, You can see the lake and the mountains from all these apartments. If all you do is look down, you will see a car park and other apartments, but if you look up and out, you will see the lake and the mountains. We have posted images from all apartments on our booking sites, including from #19. The view is not "Blocked". Gorgeous lake view, convenient location, spacious. Thoughtful staff provided us with a cover to prevent our baby from getting near to the fireplace. The apartment was very clean with great view, equipped with facilities. A short drive to town center. However, the accommodation is located on a slope and drivers need to be skillful to park the vehicles. This accommodation has an awesome view as it is located right in front of the lake. The rooms are very clean and tidy. The kitchen is big and well equipped. The receptionists are super friendly and helpful. We don't need to worry about booking the activity ourselves as they help us arrange all the bookings in advance. All we need to do is to enjoy and settle the payment when we check out. I would definitely recommend it to my friends and family!! It was a very pleasant stay in Villa Del Lago, we've stayed four nights although the last night they changed our room to a smaller bed room, yet the room still got a fantastic view and hotel prepared the sofa bed for us. The room is very clean and I do feel the effort of the staff. We all love this hotel! We definitely will stay again when we come to Queenstown again! 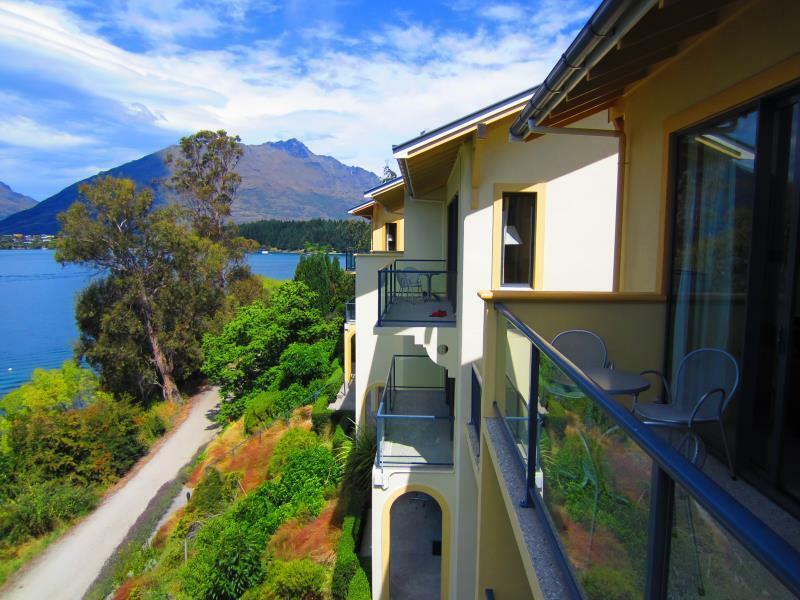 I can say that Villa del Lago is the best accommodation I had during my trip across New Zealand. The 2-bedrooms lake view villa was large, completed with living room, dining area, and kitchen as well. The unit is very nice and comfortable, the rooms are clean and spacious. And the view is simply stunning! We had an unobstructed view to the lake and mountains from our balconies. The staffs are very nice and attentive. Very recommended place to stay when visiting Queenstown. Well-equipped just like your home. The view is amazing. The electric fireplace is easy to use and very efficient. This place is worth the money. Details. Heated bathroom floor, heated mirror, floor to ceiling glass front with unobstructed panoramic views, etc, etc, etc! Very luxuriously furnished. Waking up to the rising sun over the snowy mountains and Lake Wakatipu. Feels like heaven!